Scroll down for the new listings of homes for sale in 78261. Use the Advanced Search feature to search all listings in this zip code. Contact the Exclusive Buyer Agents at The Totin Group, Keller Williams Legacy at (210) 872-8888 to see real estate for sale in 78261 north of San Antonio, Texas. Some of the San Antonio area’s most impressive luxury homes for sale can be found in the affluent zip code north of the city, in the unincorporated areas of Bexar County, Texas. Desirable rural planned communities, gated neighborhoods and luxury estates can be found in 78261, including Belterra, Bulverde Village, Campanas, Cibolo Canyons, Indian Springs and Trinity Oaks. Million-dollar homes are common in this area where the median income is over $103,000. Luxury homes for sale in 78261 attract white-collar residents who are drawn to the area by the highly regarded schools, award-winning golf courses and upscale shopping, all within an easy commute from downtown San Antonio. Residents can enjoy spectacular views of both the Texas Hill Country to their north and downtown San Antonio to their south. It's important to remember, when shopping for luxury homes for sale in San Antonio, that the listing agent does not work on your behalf. Only your Exclusive Buyer Agent at The Totin Group can help you find and purchase your luxurious dream home in 78261 with the best price and terms. And because the seller typically pays our fee, you get concierge home-buying services at no out-of-pocket cost to you. 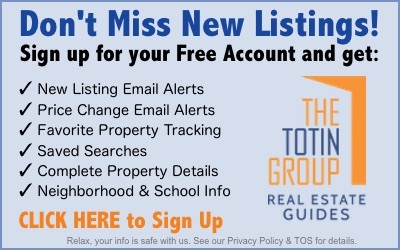 Contact the Exclusive Buyer Agents at The Totin Group at eXp Realty at (210) 872-8888 to begin the search for your luxury home in San Antonio, Texas. The new listings of real estate for sale in 78261 are shown below. Use the Advanced Search feature to search all listings in this zip code in the beautiful Texas Hill Country.